We love what we do, and when President Wayne Carriere and Vice President Jack Liebschutz decided to form Black Mountain Software, keeping customers happy with “big city software solutions for small municipalities” was what it was all about. It wasn’t until about 10 years into its existence that Black Mountain Software lost its first client. In spite of its near-perfect rate of client retention to that point, Black Mountain vice president Jack Liebschutz said “it was very traumatic. The decisions that cities make affect the lives of the residents. It is for that reason that all decisions need a thorough record of how they came to be. One way to ensure that the decision process is accounted for is to maintain a good record of meeting minutes. It’s not just a good idea—it’s the law! The catch is, meeting notes of record are only as good as the clerk who recorded them. Can’t Get Enough? Join the City Clerk Cafe! In an era where cell phones remember phone numbers for us, money can be transferred without ever writing a check, and entire business transactions can be done on the Internet, data has become bigger–and more important–than ever. But what would happen if that cell phone was lost, or there was no record of that transaction, or the internet was down? What then? As more transactions become paperless and digitized, and as the world of business becomes more integrated with IT, our vulnerabilities are growing about as quickly as our data volume. Not too many of us love taking surveys, or designing them and compiling piles of data–unless maybe you majored in market research! 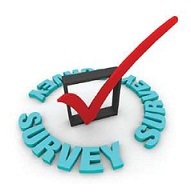 But both customers and companies typically realize that there are mutual benefits to customer satisfaction surveys. At Black Mountain Software, we receive mostly very positive input on our utility billing software, fund accounting software and customer support surveys, but we still believe that no matter what the results are, each and every survey that is filled out and returned to us is “good news.” Why? Black Mountain Software was able to recycle nearly 1000 pounds of E-waste as a part of 3rd annual “E-rase Your E-waste” event put on by Lake County Recycling in Polson, Montana. E-waste is electronic-waste. It is used, broken or obsolete electronic equipment, such as computers, printers, cellular phones, TVs, cameras, electric appliances and any device that has electronic components. 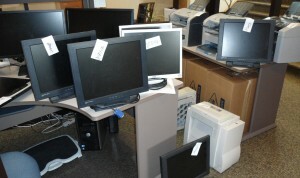 BMS collected numerous nonfunctional monitors, flat panel monitors, printers, and computers for this recycling event.